It’s time again for the mobile site of the week, just in time for the holiday weekend. We know that many of you will be spending the weekend, or part of it, doing yard projects for relaxation. 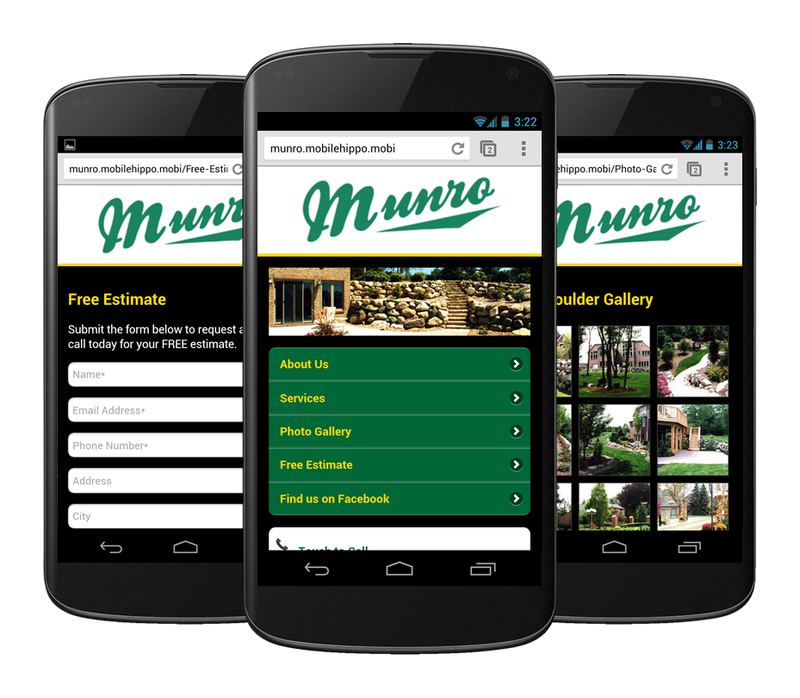 So, in the spirit of this weekends activities, we wanted to showcase the Munro Landscaping mobile website. Munro Landscaping does a great job here of getting content to its customers that they can use on the go. Their mobile site is clean and sharp, just like the landscaping work that they do. They have multiple image galleries that showcase their beautiful landscaping projects so you can make that decision to give them a call, instead of doing it yourself on these holiday weekends. And by the way, they make it easy to contact them because they have a big touch to dial button right on the every page of the mobile website.